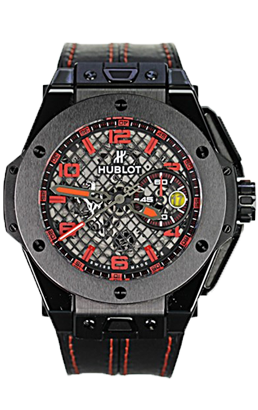 SunTime Luxury is owned and operated by legendary watchmaker Fawaz. Born to a family with 150 years experience restoring and trading world class timepieces, Fawaz has spent three decades mastering the watchmaking craft. 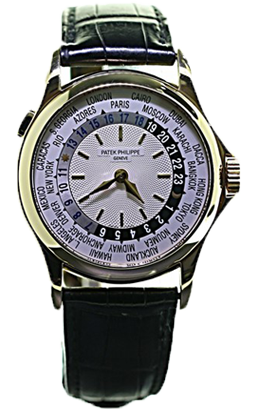 He is one of the select few watchmakers certified in North America to maintain and restore numerous elite brands. 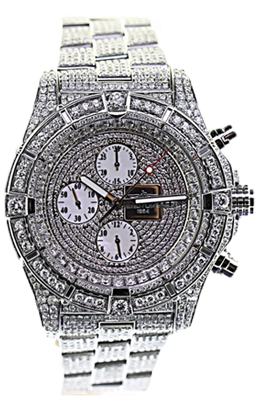 Fawaz’ talent for elite restoration creates exceptional value in the price of any watch in the SunTime collection with absolutely no compromise on quality. 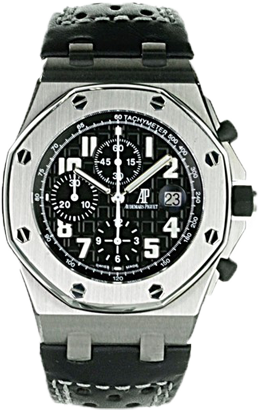 Only Fawaz can offer original timepieces restored to factory-quality, at prices unattainable elsewhere, and only Fawaz can trade from his collection to obtain exclusive new watches from his global acquisition network. 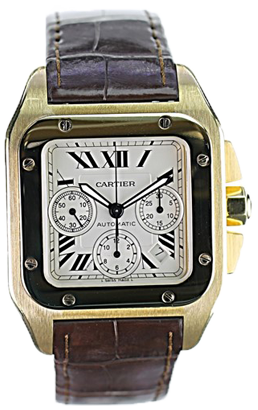 Please shop our collection, or visit us to repair, sell or maintain of your existing timepiece. Discover why those who know watches, know Fawaz. If you own an elite timepiece, or just treasure a watch that has been part of your family, you might be surprised to discover the underlying value in the timepiece when restored by an elite watchmaker. Fawaz has unique equipment not found in conventional watch retail, and the training and certification to rebuild entire elite timepieces. After 30 years of making many family dreams come true, perhaps you should take the time to bring your watch to Fawaz for a consultation and affordable restoration. Give yourself the gift of time again. Many of us have felt the thrill of a bespoke suit – made from scratch with no pattern other than that belonging to you. Nothing announces to the world that you have truly arrived as the distinction offered by an elite quality garment tailored exclusively for you. Why not give yourself an even rarer calling card – the gift of a bespoke watch? Fawaz can customize the smallest details of your watch with elite watchmaking skill to create a timepiece which is truly unique in the world, setting you apart from those who simply buy a brand everyone else has. Visit our showroom to learn more about making your watch truly unique, or contact Fawaz to arrange for a bespoke consultation. The reason to give SunTime the opportunity to purchase your timepiece is that our offer is likely to be higher than others. The secret? 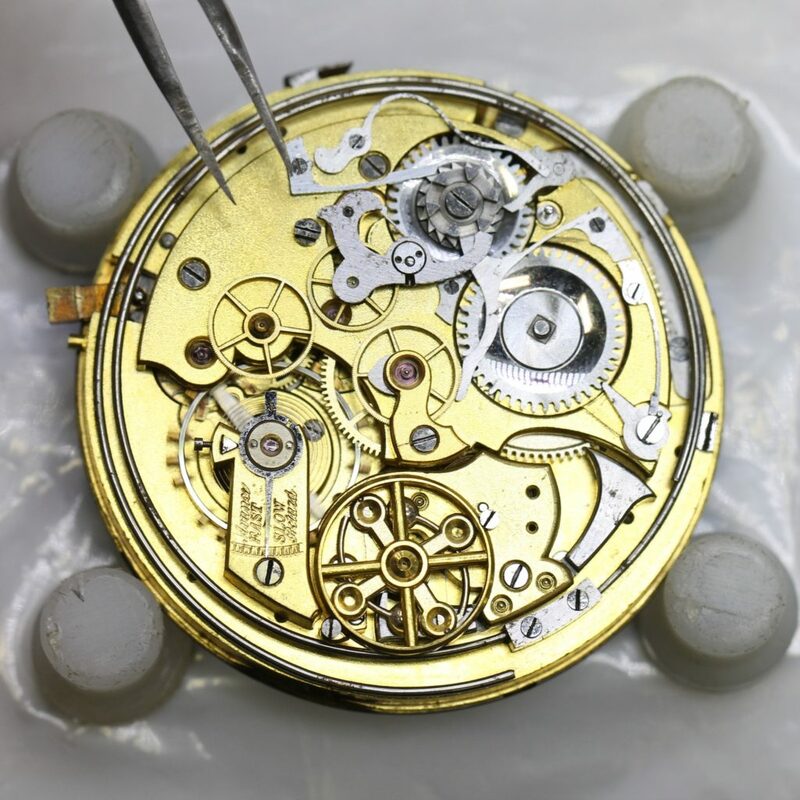 Our ability to restore watches gives us a higher end-price when we choose to sell or trade your timepiece, which gives us the ability to acquire your timepiece at a price more favourable to you. Drop by our showroom to see if SunTime can make you the offer you cannot refuse. Needed a few links taken out of my watch. Owner was very fast and fair with the price. Great conversation, would defiantly recommend this place to anyone look for repairs or to purchase a new watch. Incredibly welcoming and helpful staff, they fixed my Omega and serviced it for far cheaper than any other place in the city. Would 10000% recommend. Very nice place. Great service. Came here for a new battery. Will return when I need a new timepiece. I was treated to a fast, friendly and quality service at Sun Time Luxury when I needed several links taken out of a new watch band that was too big for my wrist. Located in the underground level of the Aura building, I was very happy that I didn't have to wait long as I had such busy day. Thank you! I've come to shorten the watch chain. Fawaz is very kind and very skill. I recommend this place if you want to reduce the watch chain. Fawaz is an extremely knowledgeable craftsman with impeccable customer service. Very honest, fair, and trustworthy. You won't find anyone better at doing what he does. Masterclass. I had a vintage watch that needed a new crystal and pusher. The problem was that the crystal was a special kind that is basically impossible to find and the pusher was equally rare. Fawaz came to the rescue, modifying a crystal and making a pusher. The man is a genius. I would trust him with any repair. The owner is very knowledgeable and provides excellent service. He fixed my 30 year old watch quickly and it works perfectly now. I'll be back. Thank you. 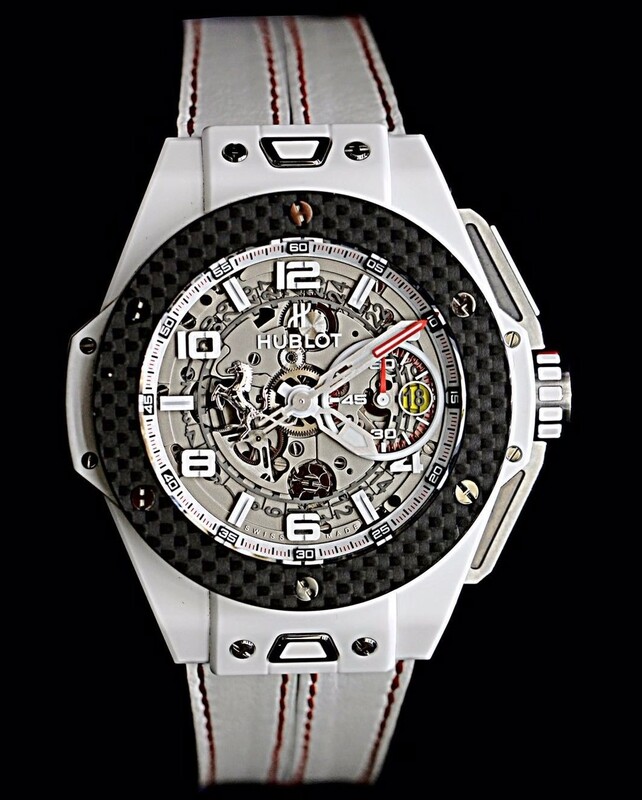 The owner is really knowledgeable about his watches and takes pride in his craft. I polished my Tag Heuer Carrera watch and it looked brand new! It was at a reasonable price. He is very friendly and has top notch equipment. I finally found my go-to guy for my watches. Thank you so much!!!! My first time in this store and I had a great experience. What made it great was the owner Fawaz. He was polite, transparent and honest. I will be definitely mount back. I took my watch to a different watch shop to have the battery changed. They damaged some of the parts and could not put it back together. I went to Sun Time Luxury and told him what happened. He quoted me a price but upon opening the watch he discovered more damage and the first shop left finger prints all over the inside of the watch. Sun Time put my watch together and cleaned all the inside and still honored the first quote. My watch is good as new! I would definitely recommend this place. Friendly, honest and very professional. I went to Fawaz to polish my watch which had some scratches. His polishing skills is amazing. The watch looks brand new. He was also able to fit a band that was 20mm into my watch which had a lug width of 19mm. Highly recommended!! Fawaz is very, very knowledgeable. He explained everything to me, and he fixed my old Omega on the spot! From now on, I will not go anywhere else to repair my watches. Highly recommended. I bought a Panorai here from Fawaz and I am very pleased with how the transaction went. He is very courteous and kind and it was a very good price for what I purchased. Follow-up has been easy and I have no complaints. Fawwaz really knew everything to do with watches from the aesthetic look to the details. Honest and passionate with his help when I came for a leather watch band replacement, could not recommend more. I highly recommend Fawaz. 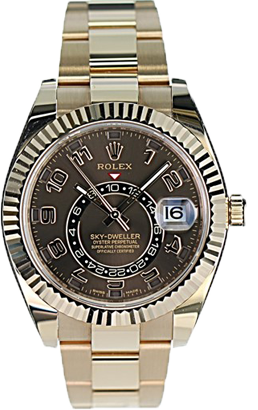 He is an expert watch repairman who is easy to talk to, works quickly, does a great job, and charges very fair prices for it. You can't ask for better! I have a Day-Date Rolex watch, latest model. 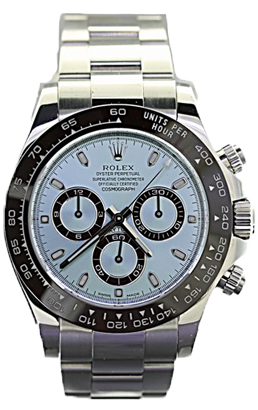 It started losing time, so I took it to Rolex Canada, they told me it will take a while, but I was leaving soon and I need it to be fixed as soon as possible. I started searching around for a watch repairer, after searching for a while I came across Sun Time Luxury, I asked Fawaz if he can fix it quickly, and I was happy to hear his answer. I asked how long and he said that it usually takes longer than 2 weeks but he will do it for me on the same day, with an extra cost. It was an unforgettable experience and he explained every step to me. He opened the watch in front of me, it got to the point where I thought that there was no way he could put everything back together. He then cleaned every part thoroughly in a machine that had three difference solutions, put the parts back, oiled it, tested it with a watch regulator machine, installed new gaskets, and lastly tested if it was waterproof. Not to mention that he allowed me to record. Amazing Customer Service! I cannot say enough nice things about Fawaz. He was extremely knowledgeable, amazing listener and does whatever he can to help you make the right selection. I have never seen anyone better than him, highly recommend him to everyone. This man has the best selection of watch brands in Toronto. A friend told me about him and ever since I couldn't trust anyone with my watches except him. Very professional work and customer service. Thanks Fawaz. Fawaz was unbelievably helpful to me when I wanted to get my wife a new Rolex. I was surfing the web for a watch, when I crossed fawaz's website, his site was simple, beautiful, helpful and offered a variety of different watches so I went to his store, explained to him that I need a watch for my wife, he was so polite yet so experienced and offered me a wide variety of different women watches, we spent quite a while together discussing which watch to get and decided on a Lady Date-Just watch and I bought it. 2 weeks later, I gave it to my wife for our 30th anniversary and i will tell you this, I don't regret a thing! Definitely recommending him to my friends! Fawaz has been great whenever I have taken one of my (non-big name) automatics to him. Very knowledgable, pleasant and decently priced. Definitely recommend. I have a vintage Rolex, I took it to Rolex to fix it, it had two broken pieces one of them was a broken balance staff They told me that they won't fix it and they told me that it's parts are in the market but I couldn't find it for a good 15 years. A friend of mine told me to go to Suntime Luxury and try my luck there. When I went there I met Fawaz, he explained everything wrong with the watch then gave me an price. I had no choice so I agreed and left. He called later that week and told me that he found the first part and couldn't find the balance staff, I asked him what he could do and he said that he had to make it. A week later he sent me photo and video of how he made it. After putting the pieces back together I picked up the watch and was so happy when I saw it working again. Fawaz is a legend he is the only one that can fix almost everything, I highly recommend him to anyone who needs help with his/her watch. I would highly recommend Fawaz for watch repair. He's very knowledgable, skilled, fast and extremely honest. If he doesn't think it's worth fixing, he'll tell you! 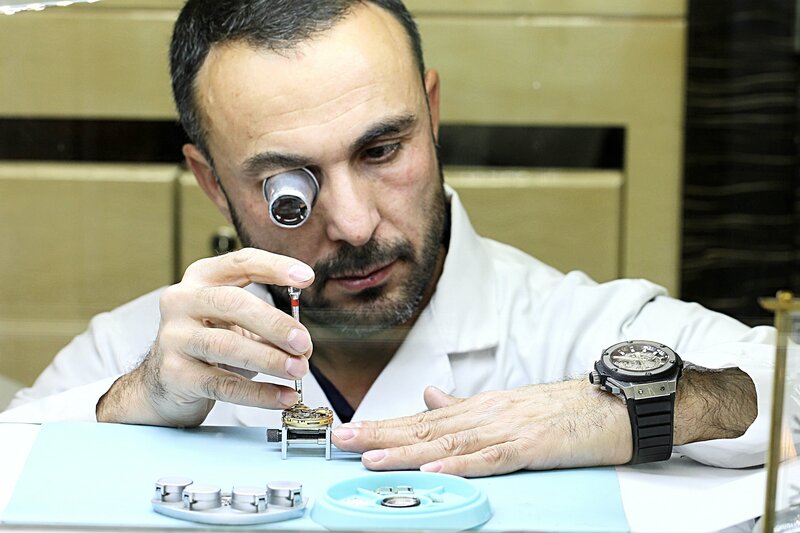 Fawaz is a very capable and skilled watchmaker. And he has difficult-to-find parts that makes servicing even better. Took two watches in for repair. One was a difficult case and took 3 weeks to repair, but Fawaz was committed to restoring the watch to better than original working condition. The time he spent and care he took to ensure that the watch was working in perfect condition was extraordinary. The second was a simpler fix to the band. I was provided with the cost to repair both up front, even though the first one took more time than expected. Highly recommended for your watch repair and battery replacement needs. I took my Sub Rolex to Fawaz for maintenance and polish, surprisingly he gave me an advice that my watch doesn't need maintenance now because the movement is clean and has fresh oil and grease but he polished it and made it look like I just bought it. All it took was 1 week for a fair price, it really affected me when he told me that it doesn't need maintenance because he could have just said that it needed and charged me for something that wasn't worth it. I will definitely go back and I highly recommend him. Brought in my Swarovski bracelet for repair after Swarovski said it would take 4-6 weeks for a potential repair. Owner fixed the bracelet in 5 minutes and it looks perfect. Thanks so much for the quick and amazing service! Couldn't recommend highly enough! Fawaz refurbished my family heirloom Omega watch quickly and flawlessly. He was honest in his assessment of what work it needed and his price was fair. Thank you Fawaz! Visited Suntime for a replacement battery on my watch. Very quick experience and at a fair price. The watch is working great now! Fawaz is obviously a super-knowledgeable and experienced watchmaker. I took in a 1965 Cortebert mechanical watch, and he gave it a quick assessment. He said it was in great shape, but needed some TLC. So he demagnetized it and sped it up. He carefully explained all the things he was doing, showing a deep love for mechanical watches. I asked whether he thought I should buy a newer band, and he told me to keep the original leather one, even if it was not as fancy-looking as the ones he could sell me. I really appreciated that honesty! The store is a bit hard to find, but a sure bet. And Fawaz is well worth the trek. I brought in 3 watches - one to have the strap resized (quick and easy), one to have the battery replaced (quick and easy as well - and on a watch that hadn't a new battery in a few years - surprise! - it worked) and the third, an antique watch from the 1940's - Fawaz was honest enough to say that it would be expensive to repair, assuming there were parts available. Very pleasant, accommodating and smiling throughout - a true gentleman and a pleasure to do business with. Went there to repair my watch, it was done very quick n nicely with reasonable price, very happy. 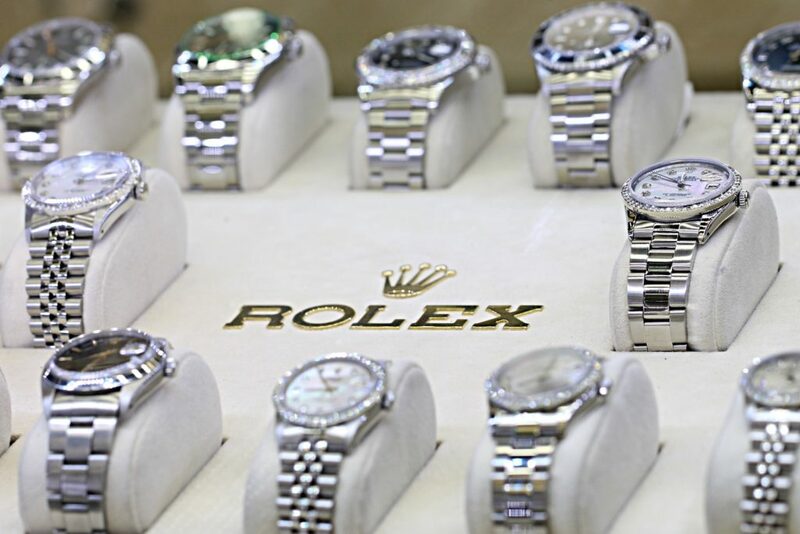 They have great rolex watches to buy too with very good prices. Definitely will buy my next watch from here. This place closed at 7:30pm (weekday) so I came here with no other options. But I am glad I found this place! Owner is very nice too! He even helped me change battery of my calculator for free. Thank you. Will definitely come again and recommend to friends. 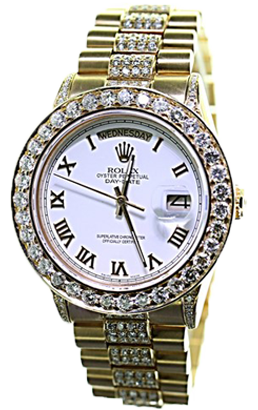 Fawaz Mohammad is a superb expert watch maker and repair specialist for luxury watches. Repairing my Ulysses- Nardin watch would have cost a fortune and sending it back to the factory for repair taken forever. He has repaired it several times over the years , always in a speedy and professional manner at a fraction of the price of factory services. I recommend his services highly. The owner is very honest and will not overcharge or you charge you unnecessarily for things you don't need. He helped me once with a watch that I thought needed to a special procedure to make it smaller, he pointed something very obvious (The watch bracelet can easily adjustable all by myself). He could have scammed me and lied by telling me it needed something special or difficult. But no, he was very honest and good at his work. For that I am happy to go back to this shop for my watch related needs. I recommend him 100% The store is maybe not the easiest to find, but it is word the effort. If you own a high-end watch or are looking to purchase one, I would highly recommend visiting Sun Time Luxury. The owner of this boutique has always taken great care and attention to detail when servicing my watches over the past 4 years. They have a incredible selection if you are looking to start or add to your watch collection, and their pricing is very fair. Great service and reasonable price. I got my Longines watch band adjusted within 10 minutes. The owner is super friendly and he would take time to explain how the work done and what’s the best fit for you. Walked in with a loose bezel on my Submariner and Walked out with not only a tight bezel, but watch like new! Great efficient and friendly service. 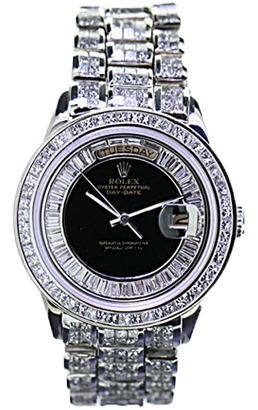 Sun Time Luxury is the place to go if you purchase or service a luxury time piece. Thank you !! Visited his store multiple time for repairs; each time he provided excellent services. He is always up front with prices and will offer alternate solution for your budget needs. Small repairs are done right before you - very knowledgeable.